Planning to purchase that Realme smartphone? Check out this list of stores near you. 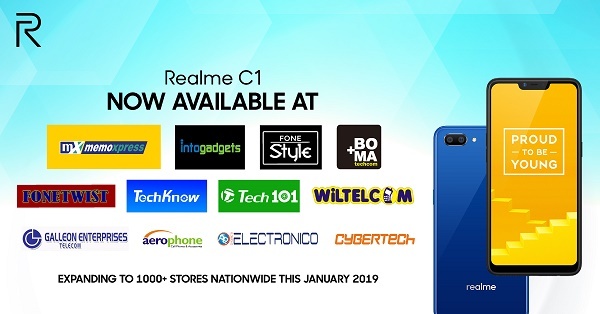 Realme enters the highly-contested Philippines smartphone market late last year; and it's has been making waves in the entry-level segment since the introduction of its current offering, the Realme C1. As the brand rolls out to the rest of the country, the company announces the phone's availability in more than 10 dealers all over the archipelago. It also plans to be in more than 1000 stores this January. Realme is gearing up for its nationwide expansion, in preparation the brand has activated 23 Service Centers nationwide to accommodate any repairs or future after sales inquiries. Philippine Realme Authorized Mobile Technology Inc.